A history of Bothell's pioneers, the Sammamish River's influence and Bothell Schools from 1870 to today. Bothell School history is on pages 2-5, the City of Bothell history is on page 6 and the history of the Sammamish River is on page 7. Squak - a corruption of the Indian name Squowh, Squax or sqwa'ux (three common attempts at creating English spellings mimicking the native pronunciation and pronounced by the natives as if spelled Isquowh) - simply meant swampy lowland area. This was an accurate description of the original area before later changes radically altered the valley drainage. The only transportation was by boat on the slow moving Squak Slough that flowed a sinuous 28 miles from Lake Sammamish to Lake Washington - though only 10 miles as the crow flies. The difference in altitude (from sea level) between the level of the water in Lake Sammamish and the level of the water in Lake Washington ranged from 5 to 8 feet - depending on the season. This small elevation difference resulted in a slow moving river. 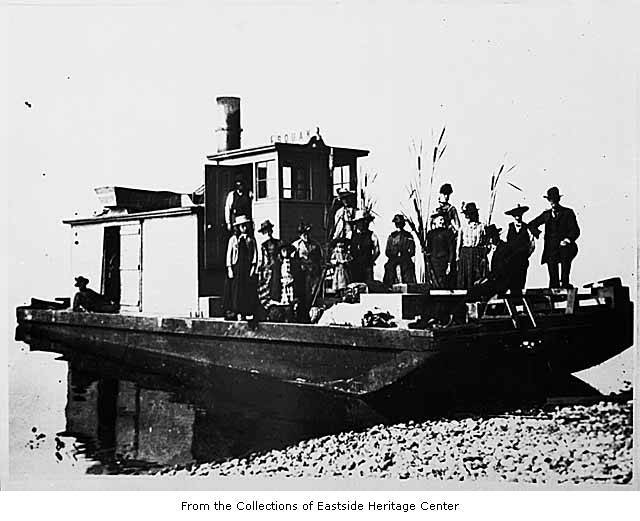 The entire length was navigable by shallow-draft steamers from Lake Sammamish to Seattle, although obstructions made for a haphazard journey. 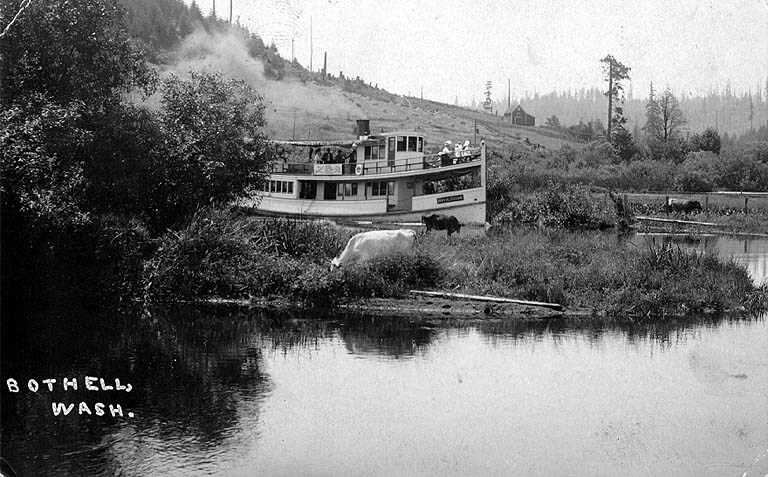 A major navigational advance occurred in 1884, when a 42-foot scow named the Squak, built at shipyards in Houghton and powered by a 12-horsepower steam engine, began running the river. 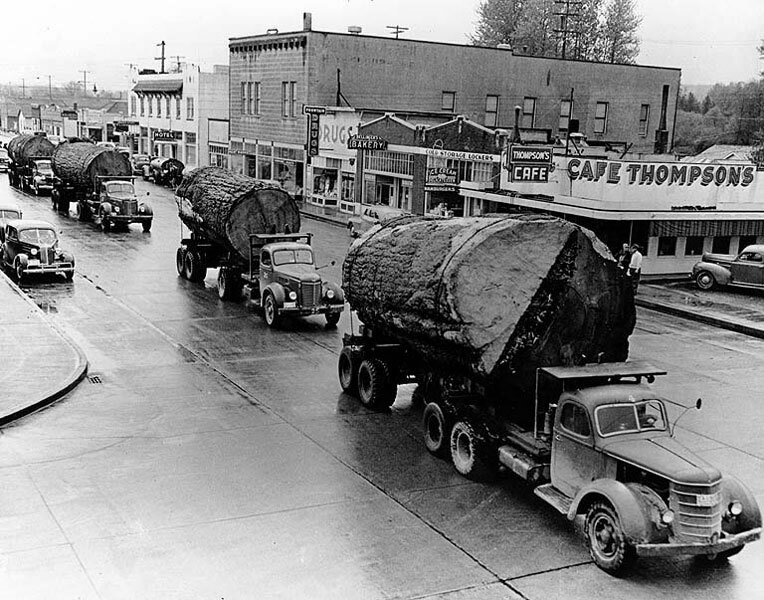 In 1876, transplanted Canadian George Brackett bought land and began commercial logging with ox teams from a camp located on the north bank of the Squak Slough in what is now the heart of downtown Bothell. 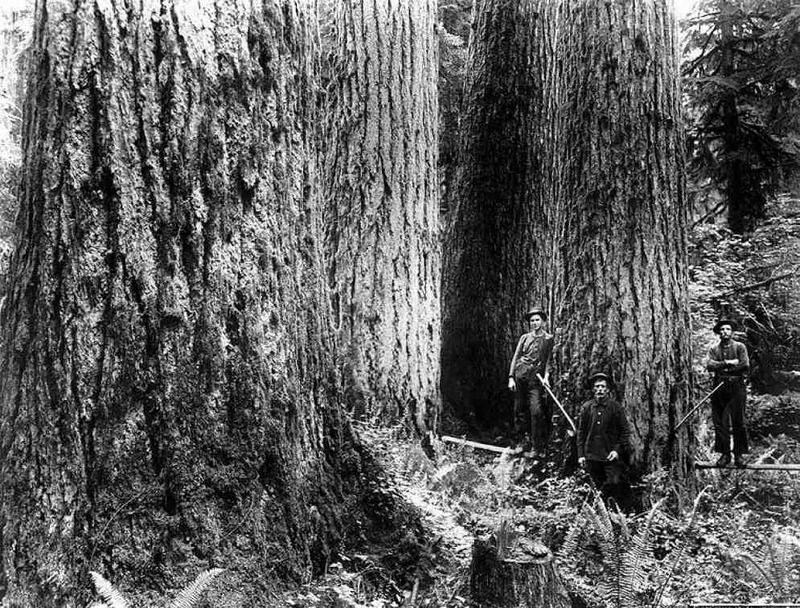 Squak Slough was used to float logs and coal barges from Lake Sammamish to Lake Washington. Often logs and snags jammed the river with the result that navigation at times was difficult. The mouth of the river was east of its present position. 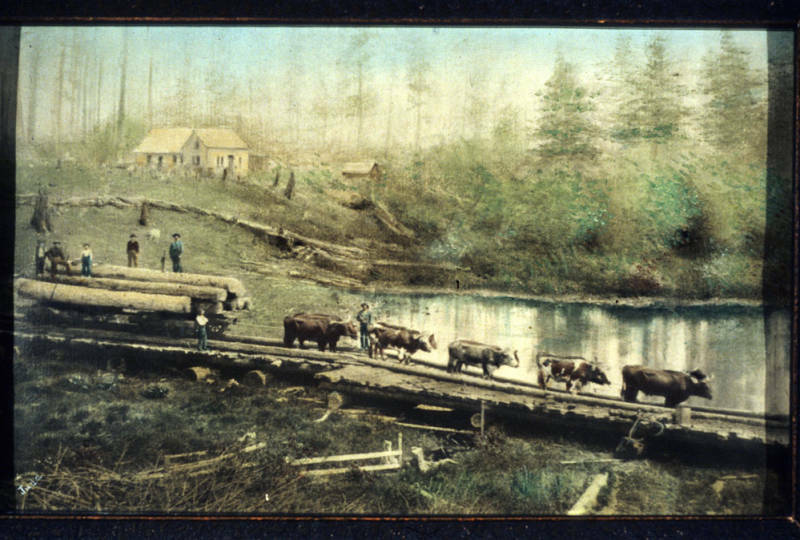 The logging camp became Brackett's Landing - the same name as a waterfront park in Edmonds. 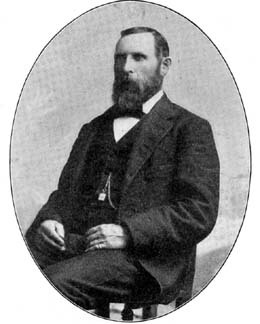 (In 1884 he platted Edmonds and was its first mayor in 1890.) 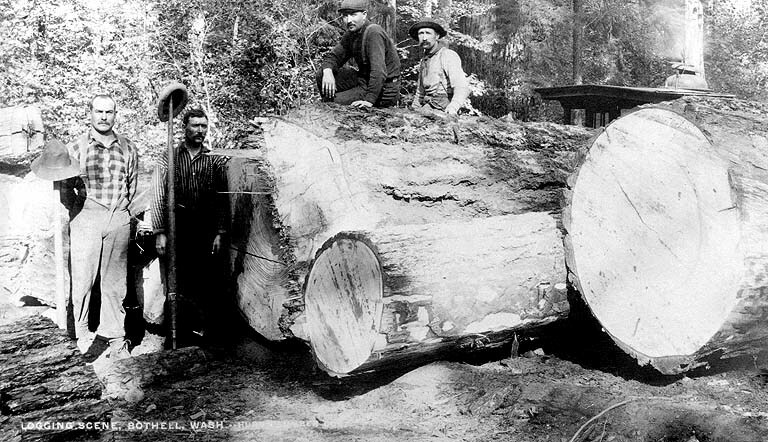 Logging was a mainstay of the area until the early 1910s. 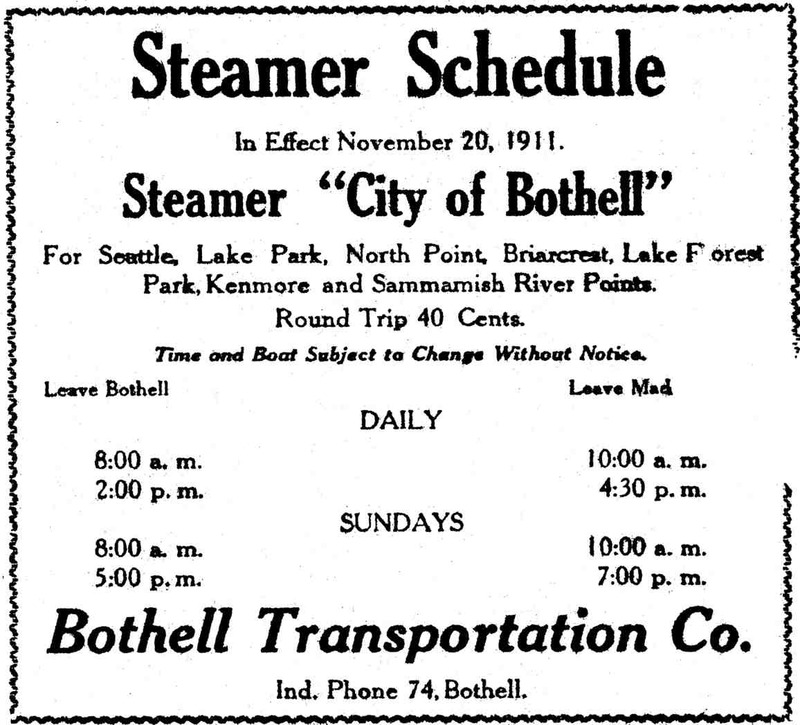 Transportation for freight and passengers to Seattle was originally via boat. 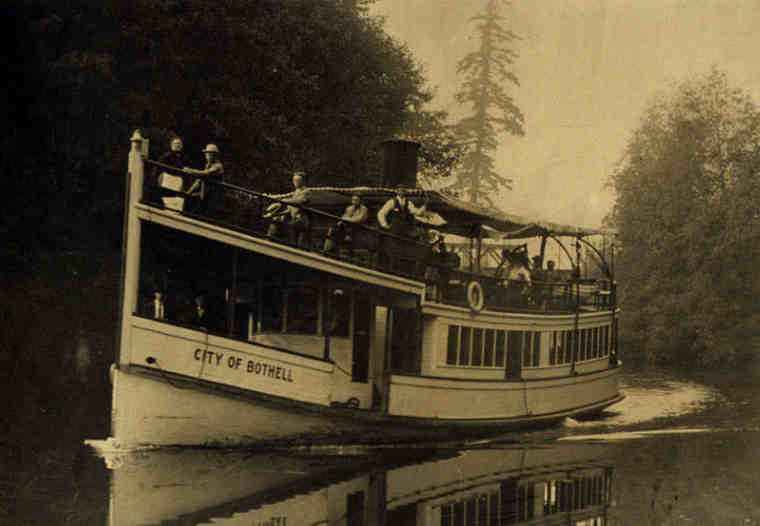 Steam boats from Bothell to Madison Park on Lake Washington sailed on a regular schedule until 1916. Railroad connections and then paved roads replaced the nostalgic steamers. The influx of settlers into the Bothell, Woodinville and Kenmore area slowly increased the demand for better transportation and schooling for their children. The following pages chronicle the founding and growth of the Bothell School District #46 answering these needs. Credits: Research by Jack Vermeulen from Bev Niemeyer Schmer's article in the June 1, 2008, issue of the Bothell High School Alumni Association newsletter Cougar Tracks, and from the 1995 Bothell High School Alumni Directory, pp. vi-vii, which she wrote with the assistance of long-time Bothell High School teacher Eleanor Wallis. Additional information obtained from the University of Washington, City of Bothell, Woodinville Heritage Society, articles by Amy Stickney, memoirs of William Simonds, Northshore School District, the Citizen and King County archives were added to clarify early Bothell dates and events. In cases of conflicting information, we did our best to preserve events and maintain accuracy.